Their fragrance is intoxicating, which is why most people probably buy them and why florists include them in many bouquets. A mix of gardenia and vanilla with undertones of rose, the scent is neither subtle nor faint; even a single stalk of tuberose flowers can perfume a room for days. Tuberose is a popular cut flower through much of the year, and multiple whorls of tubular flowers bloom in succession for a period of a few days to a week or more, making them a very popular choice. It was definitely grown and prized in pre-Columbian Mexico, where it was known as omixochitl (“bone flower,” in reference to the waxy white flowers) and added as a flavoring to chocolate beverages. Tuberose has also been widely cultivated for centuries in Europe — France, China, Egypt, and Morocco — where it is also harvested for its essential oil, the scent being added to perfumes. In India, tuberose is known as rat ki rani (“the mistress of the night”) because it is said to induce romantic urges. News flash (not very current, but probably still startling information for many gardeners): The latest classification has placed this delicate and ephemeral flower in a new (well, old, but new designation for this species) genus, Agave. Yup, the tuberose is now officially Agave polianthes. Reference sources cite this plant as being “rhizomatous” and having “bulblike tops” and “tuberous roots,” so it is somewhat of an anomaly. When buying the tuberose in garden-center bins or through mail-order catalogs as a “bulb,” most would not notice anything amiss unless they expected a continually expanding display over the years, but many a gardener will attest to their finicky ways. Plant a dozen “bulbs” one year, and enjoy lovely, fragrant flower spikes from each of them the first year. But next year, you’ll never get the same display, and in subsequent years, you’ll get maybe even less than before. What’s up with that? It seems that each of those “bulblike” shoots will bloom only once. Since it originated from a rhizome, there were probably a number of other shoots that also grew, but did not mature (i.e., bloom). Stay tuned: This information is relevant. Tuberose bulbs are sold every year, and many plant them and enjoy their fragrant display in a timely fashion (planted in spring, they should bloom sometime in summer and lose their top foliage by fall). Commercial growers plant and harvest the flower stalks as cut flowers yearly, thus avoiding the following commitment to annual attention. Those who would like to have these flowers perfume their gardens from year to year should be prepared for dedication and persistence. True to the life history of many other agave species (think about things known as “century plant” here), each flower emerges from a growing point that will die once it has achieved its destiny. Purchase and plant that mature bulb; it grows blooms and then dies. Luckily, like many other of its kin, it probably produces offshoots (pups, bulblets — whatever you want to call them) that will hopefully multiply and propagate the species. To ensure a succession of blooming tuberose, the original bulb (now withered) must be dug up in the fall. The offshoots can then be separated and replanted. The largest may themselves make some bulblets in that first year, but to cultivate another blooming-size bulb, that clump must be dug again and the largest, central shoot divested of the smaller sprouts and replanted alone. Two years are the minimum required to bring a tuberose back to blooming size. Undivided clumps will probably produce at least one blooming-size pup in a couple of years, if warm weather and well-drained soils hold sway. 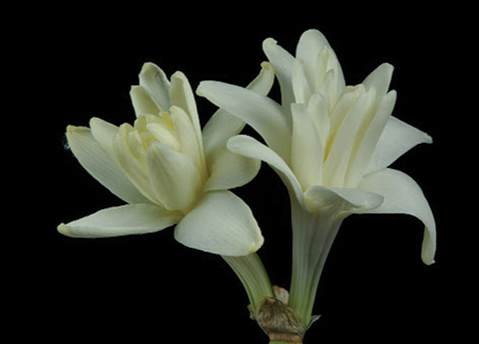 Where they can be naturalized in large numbers, tuberose may be left alone to fulfill their natural destiny. Knowing what is entailed, though, may hint at the number of them that must be planted to eventually yield a bountiful display from year to year. For most gardeners, replanting a few each year (newly purchased or propagated from the original stock) may ease the desire for a whiff of fragrance, while increasing the total population for the long term. • Prune deciduous trees and shrubs (fruit trees, roses, flowering cherries and plums, etc.) when their leaves have all fallen. • Buy deciduous trees and shrubs bare root this month. If you can’t plant immediately, protect roots from drying out with damp sand, peat moss, or compost. • Spray deciduous trees and shrubs that are susceptible to insect and fungal attacks. Horticultural oils and compost tea are the safest to use, but limited use of fixed copper or lime sulfur sprays can get the upper hand on things like stubborn peach leaf curl.